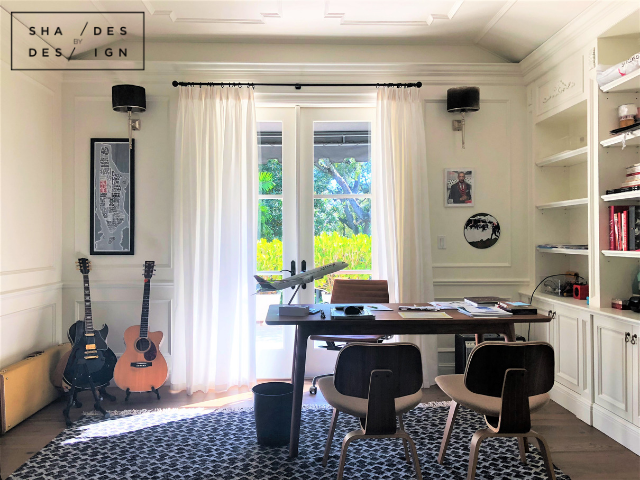 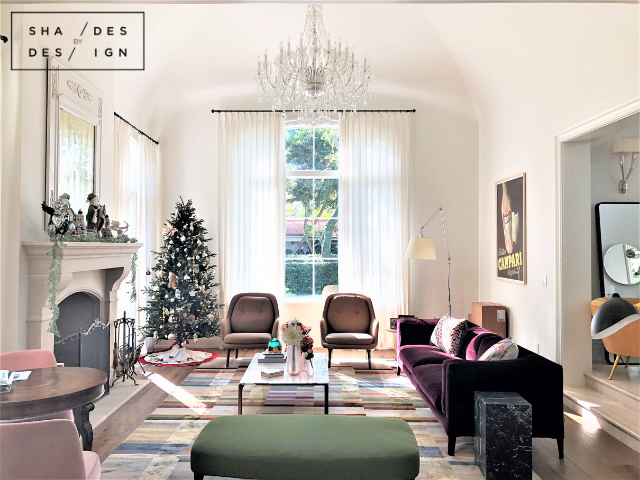 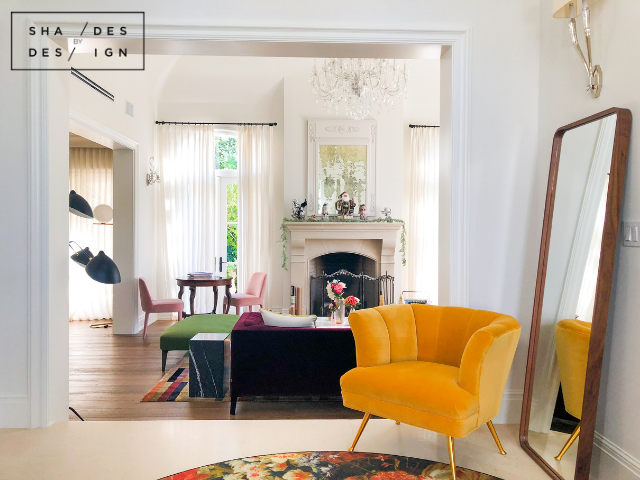 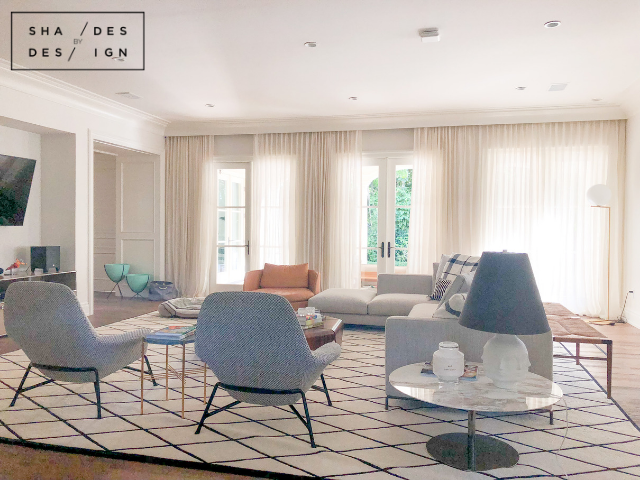 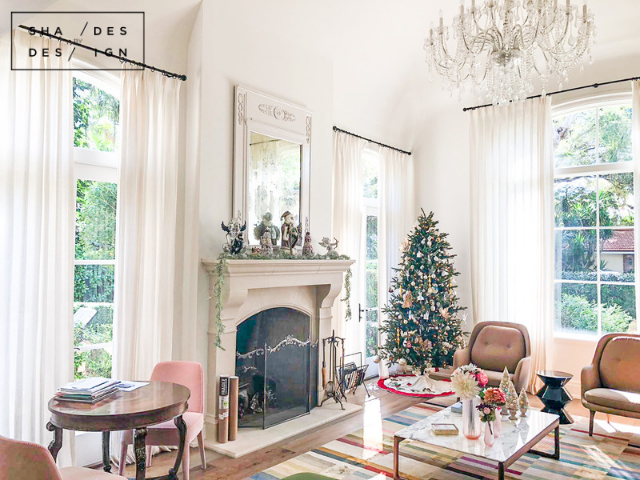 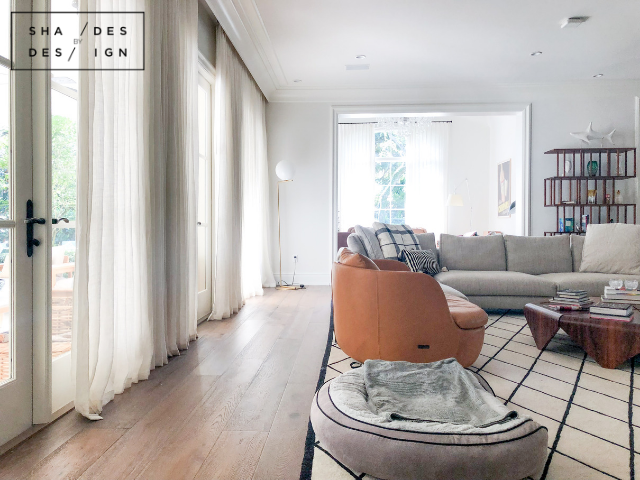 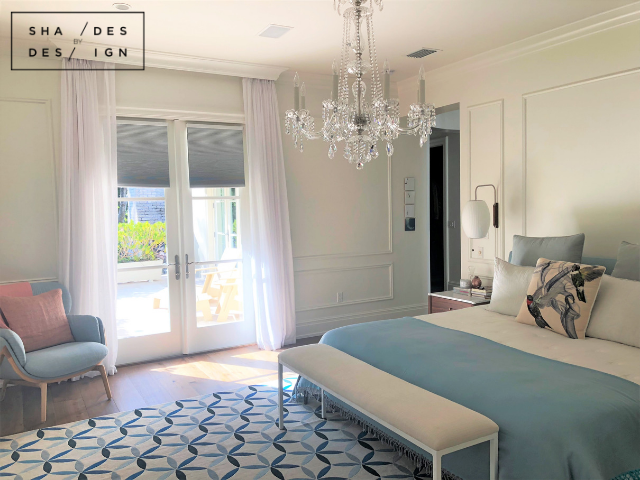 In this luxury private residence in Coral Gables, we designed a whole-home window treatment solution that encompasses elegance, enhanced privacy, and light filtering. 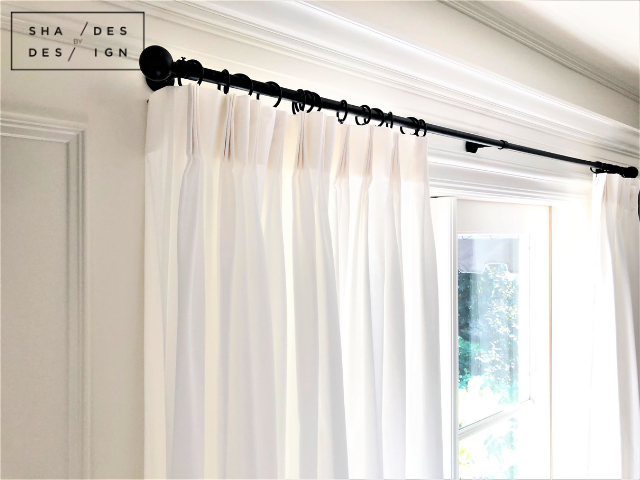 In the living room, family room, home office, and guest room we installed elegant pinch pleat sheer drapery with Fabricut fabric on black metal rods from The Finial Company. 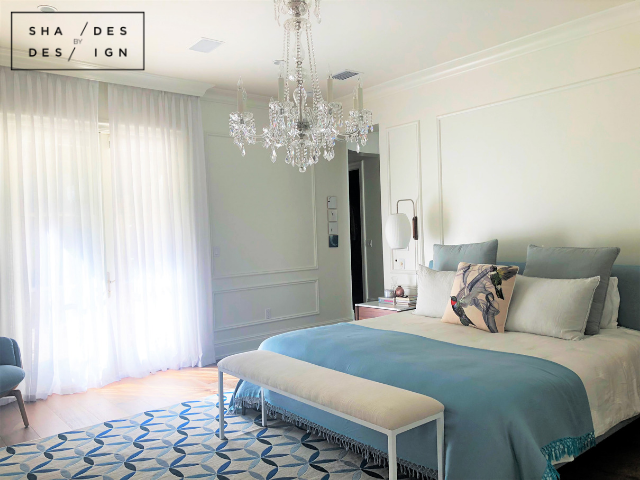 The Master bedroom features the same beautiful Fabricut sheers with manually operated honeycomb shades. 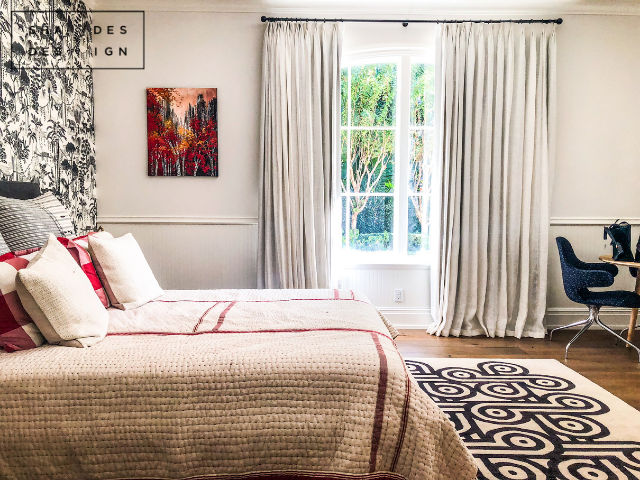 This is a great combination to filter out even more light (especially for a great night’s sleep), add privacy, and offer energy efficiency. 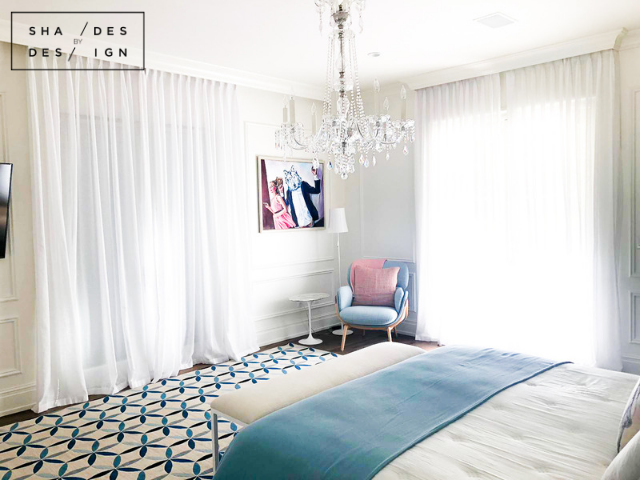 In the kids’ room, there are Fabricut sheer drapes on a white wooden rod from The Finial Company. 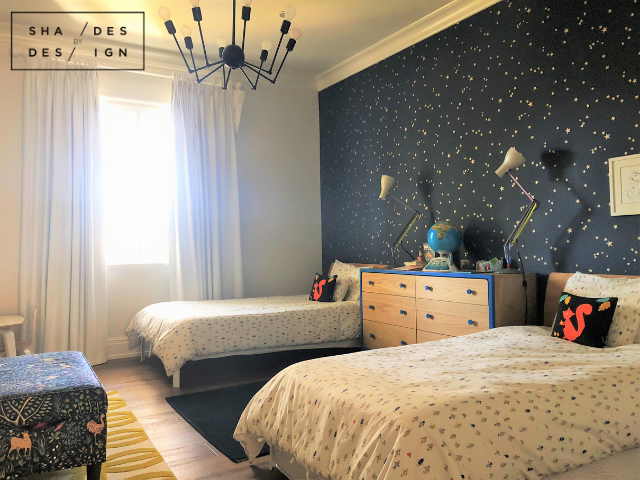 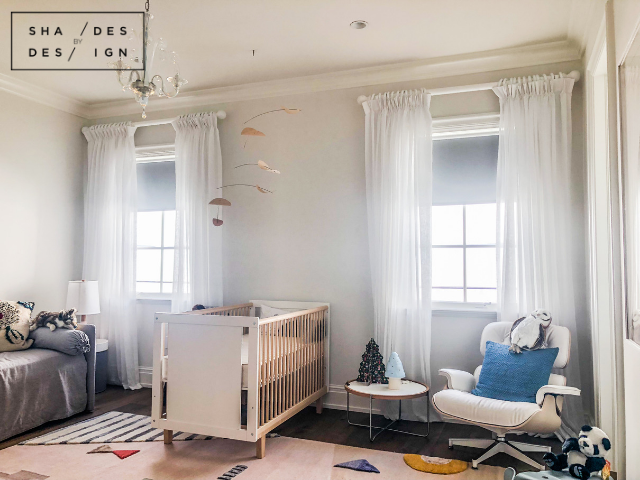 Finally, the nursery features sheer pinch pleat drape on The Finial Company wooden rod paired with manual blackout shades for enhanced room darkening.